The Old Town of Monaco isn’t really renowned for the quality of its restaurants: between the souvenir shops, you can find snack bars and different restaurants which, without being bad, aren’t particularly memorable, with a few exceptions – until the summer of 2011, when a very notable “exception” opened up. 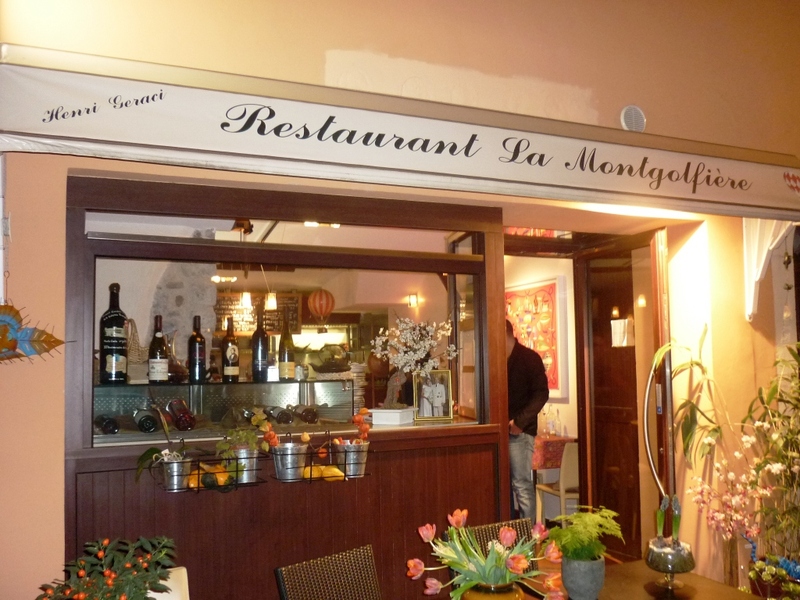 La Montgolfière isn’t your run of the mill tourist restaurant – if you are looking for very well-executed traditional Mediterranean fare but with a slightly exotic twist and a charming location, this is the place to go. This tiny and very quaint establishment, located on a small pedestrian street in the very heart of the old town of Monaco, a few steps away from the Prince’s Palace and the town hall square, only seats about 20 people and it is staffed exclusively by the Monaco-born chef, Henri Geraci and his wife Fabienne.